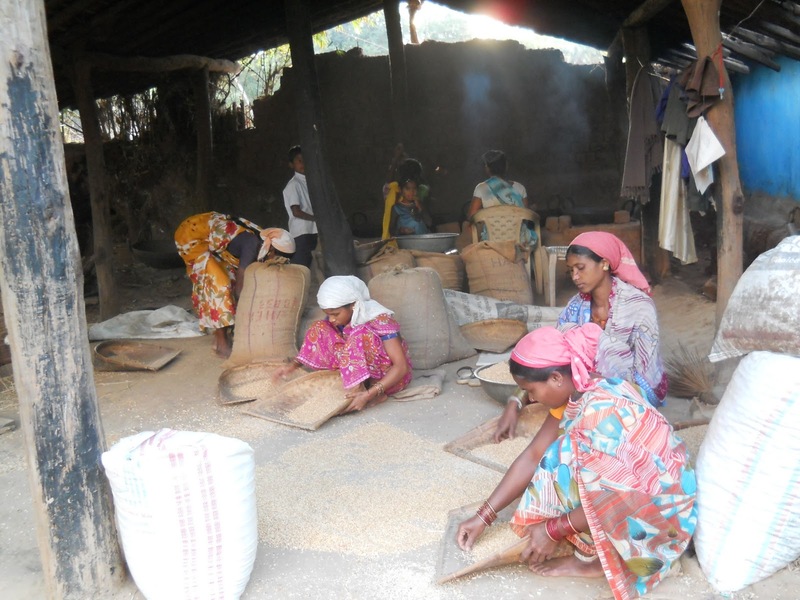 Stella's Musings: Chhattisgarh: How Does a Woman Sarpanch Work in Bastar? Chhattisgarh: How Does a Woman Sarpanch Work in Bastar? The participation of Indian women in the political process, especially at the hyperlocal level, has been on the rise since reservation of 33% of seats in the village councils came into force. 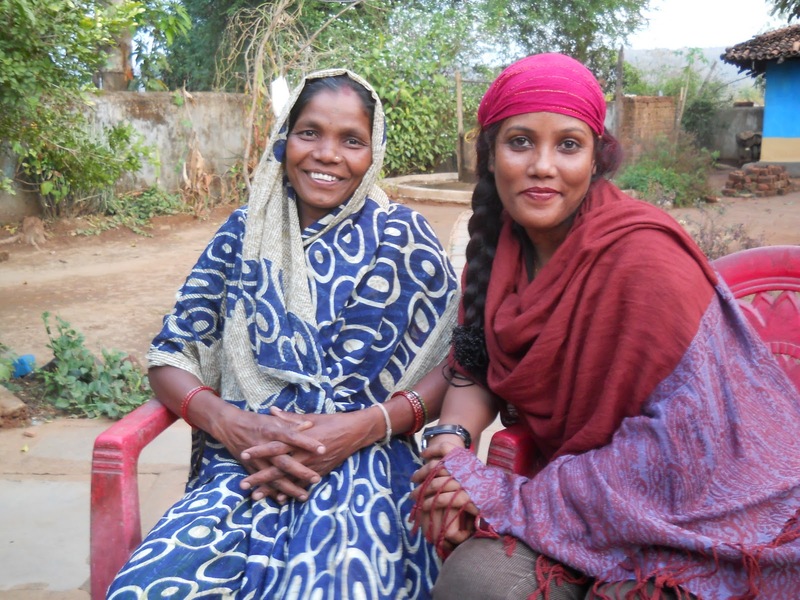 In the tribal belt of Bastar, women actually have 50% seats reserved for them. But, with the Government Vs Maoist conflict raging, how is that reservation helping? How does a woman village head work? 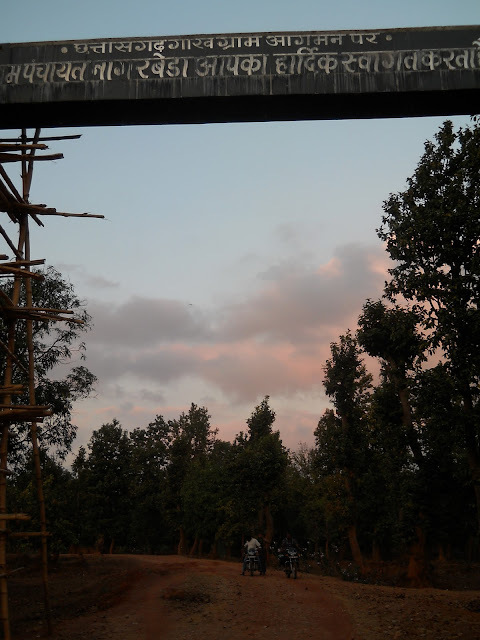 To find the answer, I have met 23 women Sarpanch (head of the the village council) in Bastar, 15 of them are in forest areas where the Maoist activists are very active. Let me share the story of Kalavati Salam - the sarpanch of one such village panchayat. Kalavati - a mother of two junior school students, entered politics unwillingly, when, 3 years ago, villagers unanimously decided that she would be the best candidate to lead them. What made them choose her? In a community of 2000 people (her panchayat actually comprises of 3 villages - Nagarbeda, Sundurimeta and Etegaon)), Kalavati is the only woman who has studied upto 12th grade. Her reply confirms what I had earlier heard: 'I had the road project sanctioned. The materials started to reach. Then they came and stopped the work'. She doesn't know if this road will ever be completed. Will it not affect her record as a village head? Won't people judge her performance were she to contest the election again after two years? She looks uncertain and also a little uncomfortable: 'I don't know. I hope people understand my position,' she finally answers, looking away. Stalled development projects, however, isn't her only problem. Of her seven women village council members, 5 can't read or write, while 2 are barely literate. The result: despite having 7 female colleagues, she has to do everything on her own, from drafting an application to running to the block administrative office every now and then, and finally, supervise all the work. Has she tried arranging for a training workshop for her female colleagues? 'I spoke to the district administration,'. 'They called me to attend a few workshops both in Raipur (state capital) and in New Delhi,' she says with a smile that appears rather sad to me. 'But how does that help your women colleagues?' I want to know. 'It doesn't. But nobody here understands,' she says, her voice giving away a strain of helplessness. But feeling helpless alone won't do. So, Kalavati tells me her plan for next 2 years: focus on what nobody has opposed yet: supply of safe drinking water, basic healthcare and create alternative work for women. Of all the villages that I have visited so far, Kalavati's panchayat appears the most water starved; not a single house has a patch of vegetables or even a pumpkin creeper on the tiled roof - a remarkable exception to other households in the block. Lack of water, dried fields and now lack of work opportunities are sending the village men outisde, leaving their women and children. Kalavati is trying to provide work to these women; in her home, I see 20 women preparing food for the Anganwadi toddlers. As I listen, I can't help feel a little skeptic: every party here - the government, the Maoists and corporate-backed development organizations - has an agenda that talks of welfare of 'people'. Yet there are women like Kalavati who, despite enough political will, have to struggle to pull their people from the clutches of utter deprivation. How would you explain this paradox?